Maybe the earliest self portrait on panel, the painting is a portrait of a man dressed in a fur cloak and a chaperone on his head. It is thought that the portrait is probably a self portrait but there is no evidence to confirm that. As in all of Jan's work we get a high sense of detail. The lines and shading of the chaperone is remarkable and in the face we can see natural movement and contours. Jan gives us here a 3/4 profile view which he used in almost all of his portraits. The figures' lips are slightly pursed together and the character looks calm but pensive. The depiction of the face is certainly realistic while emphasizing the blood vessels visible in his face and wrinkles. Although similar to his other portraits, this overall lacks any emotional expression except a slight pensiveness which is almost comical below an extravagant headdress. The character thought by some to be Jan largely by the inscription at the top and bottom of the frame: "Als Ich," meaning "As I can". The "Ich" is possibly a play on works being close to "Eyck. " Also the Chaperone is folded up on top of his head. Normally the sides could be worn down but as Jan was always painting, he had to wear the sides up. Follows a trend of his other portraits, the head is turned to the left while the eyes are fixed on the viewer. 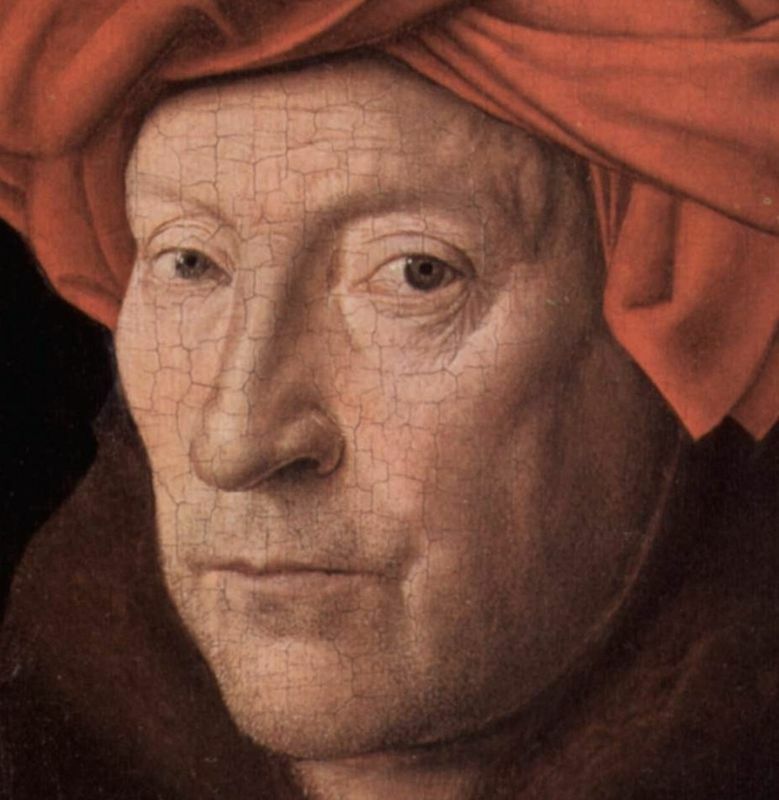 Although the identity of the figure cannot be identified as Jan van Eyck in certainty, there are a few interpretations. Red was a color of clergy and here Jan painted himself as a clergyman or put himself on the same rank as them. Jan is making fun of himself. The Chaperone puts the focal point at his brain and makes fun of the character. 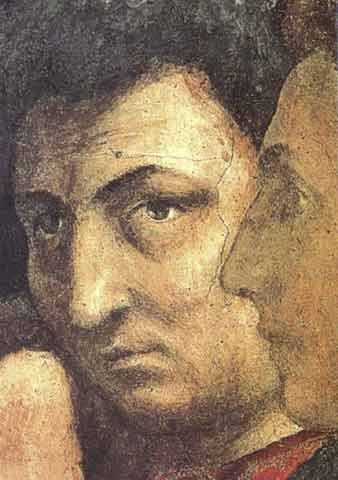 It is possible that Jan got the idea from Masaccio who used the 3/4 profile with a light source in his frescoes. It is thought that Jan traveled to Italy under the Duke of Burgundy and there we could have studied Italian painting or drawings in Italy and even possibly entered the Church of San Carmine and the Bancacci Chapel in Florence. The 3/4 profile view remains the standard portrait pose in modern art. While Jan could have taken some idea from Masaccio in Italy concerning its light source, Masaccio never completed a portrait so attune to detail and lifelike. This portrait although is debated over is shines above previous portraits. In the Middle Ages and Byzantine style art artists often used just one color for the face. Here in Jan's portrait there are at least nine different colors. Very subtle variations of color and shading are some of Jan's trademark techniques. Also the use of the red chaperone has been thought to place the figure on the same level as clergy or simply to draw attention. Here the light source is coming into the painting from the left side. We can see the shading on the figure's left cheek and the indentations in his skin. The shading on the chaperone is quite impressive and almost dominates the painting with the amount of detail. 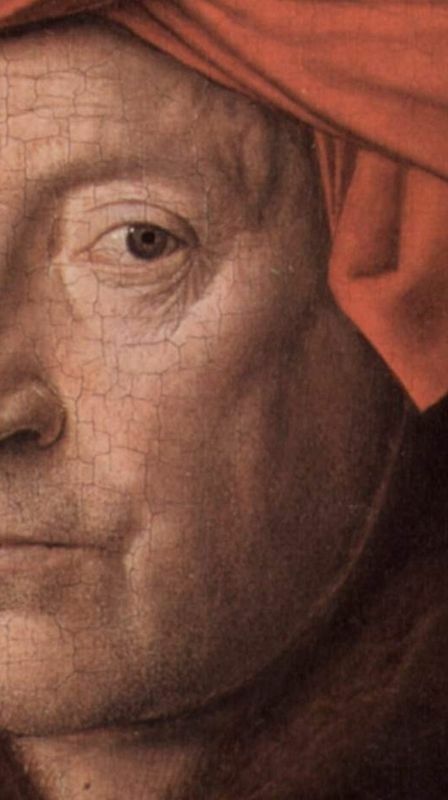 In almost all of Jan van Eyck's portraits Jan uses a 3/4 profile of his characters. The advantage from this technique is that it lets the artist use a light source from one side of the painting, usually from the left side, to show more detail. This painting could mark a detachment from his earlier paintings. Eyck's later work often presented characters in a solemn stillness. The paintings lock the character in place without room to move around. Much of the critical reception surrounding the painting has to do with the identity of the person of the portrait. 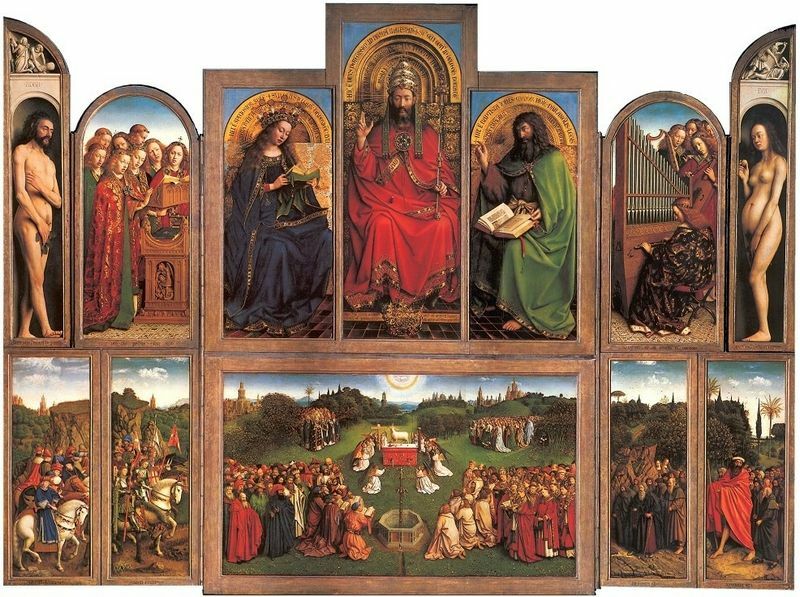 It is now generally accepted that Van Eyck is the subject of his own painting but it still is debated. Some argue that the man in the portrait is actually Margret's father, his father in law, because of the resemblance to the person in the painting. This seems a little unlikely because her father would have been much older and Jan could have married a person who looked like her mother or sister. It has been suggested that this is a self portrait because anyone paying for this would not wanted to be painted this way but more so because the inscription on the top and bottom on the frame. The figure also has some stubble from a beard. A paying person probably would have had the painting take the stubble taken off his chin. 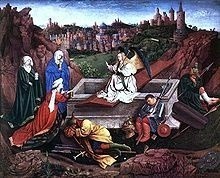 The painting was probably acquired by Thomas Howard, 21st Earl of Arundel in Antwerp, around 1443. 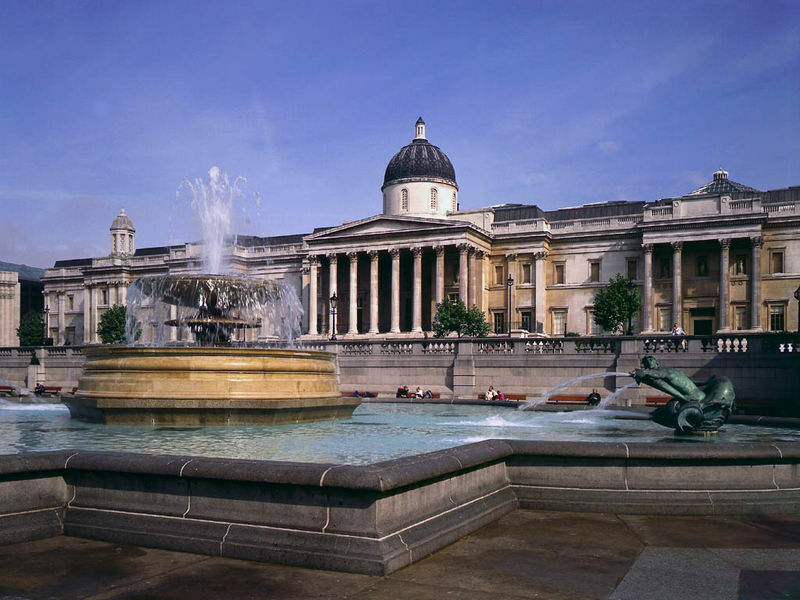 It has been in the London National Gallery since 1851. 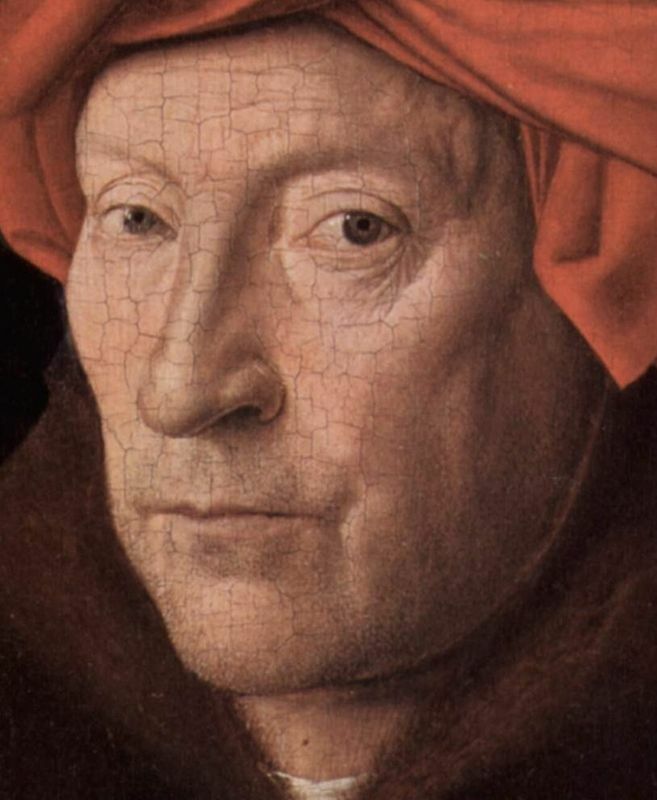 Former Flemish illuminator, Jan van Eyck painted with detail and precision. His works pushed the limits of oil painting to a new level while achieving a unique style that would come to influence the Renaissance as a whole but especially the Northern Renaissance. Using oil paints, Jan van Eyck was able to achieve three dimensional objects by depicting detail and indirect in a way unseen before. In his portraits he gave the viewer a new gateway to realism and expressed classical themes such as the annunciation of Christ in a new be-loving manner throwing away Byzantine precepts. Born around 1390, it is unknown where he went to school and it is assumed that he studied under his brother Herbert van Eyck. He died around 1446. Sometimes ascribed to merchant class, sometime during the 14th Century Europe found itself throwing out the Byzantine or International style and moved towards realism. In the south philosophers, artists, and scholars rediscovered the classics and sought to incorporate them into a new found sense of humanity. 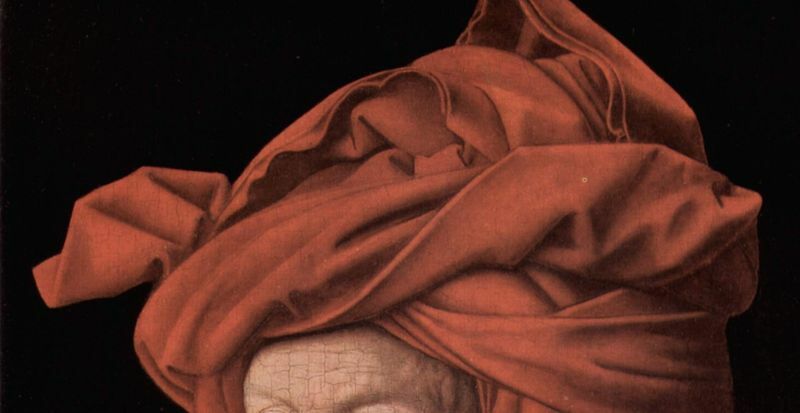 In the north, artists like Jan van Eyck used a relatively new style of painting, oil painting, to produce a new sense of reality through microscopic detail and indirect light. 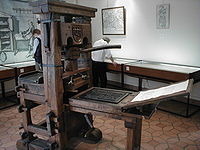 Ideas and values were changing and with the invention of the printing press, the spread of education and the Reformation, views and techniques concerning art changed along with them. 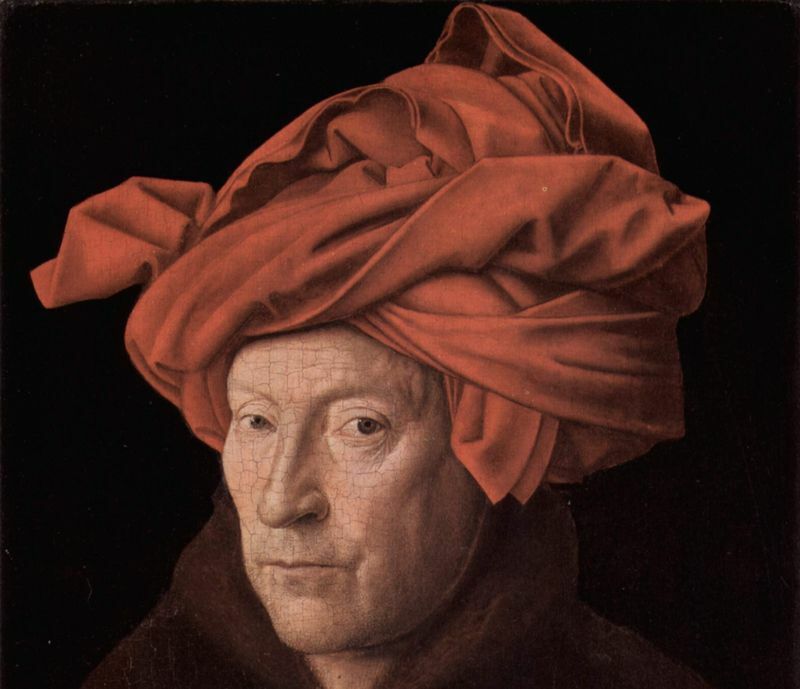 Jan van Eyck innovation with oil painting and the 3/4 profile view of the portrait sitter has not been improved on by today.